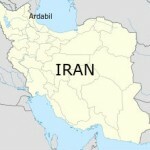 Ardabil or Ardebil? The Tale of Two Carpets! 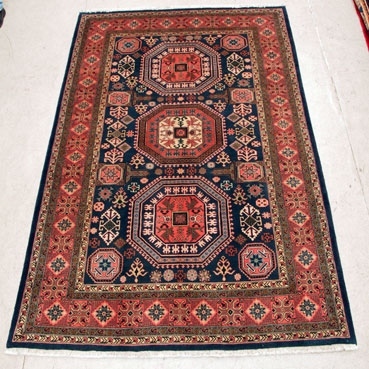 Spell the city and its carpets with an “a” or an “e;” makes no difference as both are commonly used and are nothing more than the Romanized version of the Persian and Azari, “اردبیل.” Googling either spelling renders pretty much the same search page. According to the Wikipedia article on the city the name Ardabil (اردبیل) comes from the Zoroastrian name of “Artawila,” which means a holy place. 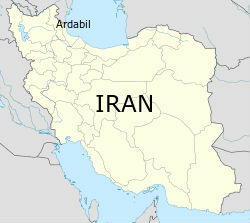 As you can see in the map to your right, Arabil lies near the Caspian Sea in Northwestern Iran just south of Azerbaijan and Armenia.